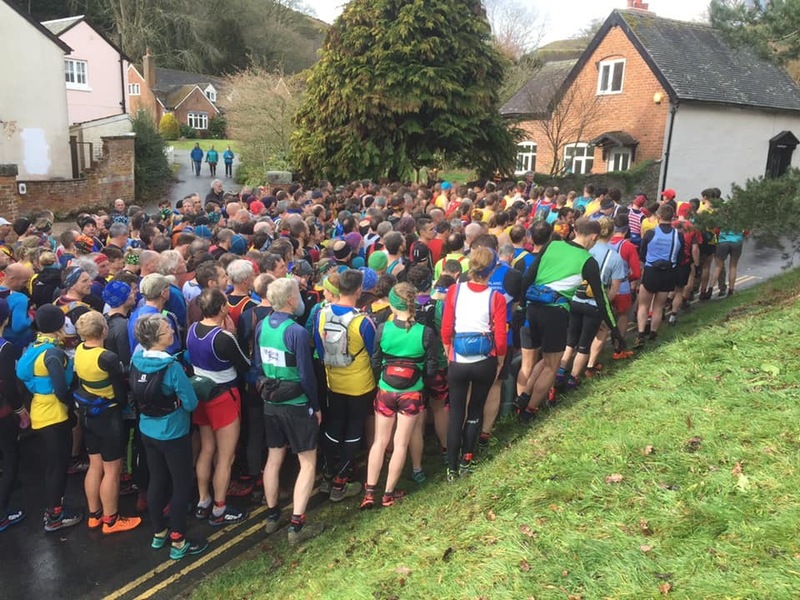 Sunday saw some some welcome relief from the weather for fell runners and organisers alike at the first 2019 English Championships outing, Stretton Hills Fell Race. Snow was forecast but Sunday brought a glimmer of sunshine after the deluge of rain and flood sirens in the Calder Valley on Saturday. 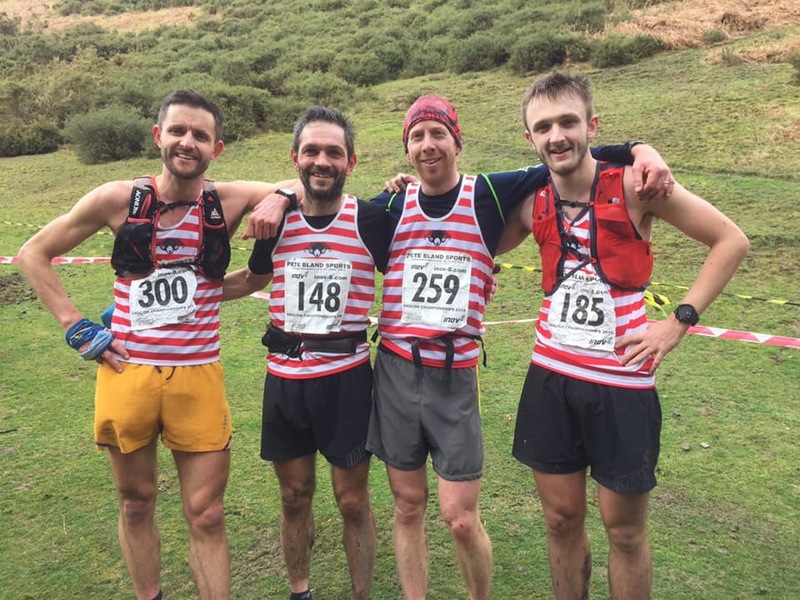 Nine Calder Valley runners made the journey to Shropshire to battle navigational wits with 339 finishers in this season’s first English Champs race. With only map and compass allowed, they had to find their own route on this mostly unmarked 9.5k, Category A course to visit all five checkpoints in order, avoiding out of bounds areas, and making sure they completed the few mandatory sections. Experience and pre-race recces would likely have paid off in this challenging route. With 2,198 ft of climb and some tough options of either shorter, brutal climbs or longer more runnable routes, Mathew Roberts was first back for Calder Valley in 11th place in 47:06 mins. Within seconds Karl Gray showed class to make it back in 47:21 and take 1st Male Vet spot (13th overall). Darren Kay also did well finishing 2nd Male Vet (37th overall). Calder Valley took the men’s Vets team prize with Gray and Kay joined by Adam Osbourne (45th) and Mark Burton (87th). CVFR’s Mark Taylor was just four seconds behind (88th). CVFR’s Matthew Roberts, Karl Gray, Adam Osbourne and Martin Howard at Stretton Hills (Credit: Bob Howard). Martin Howard continued his good run of form to finish 3rd U23 (51st overall), but narrowly missed out on 2nd U23 prize by just 2 seconds to Adam Fieldhouse! Stephen Smithies (134th) and Toby Sydes (267th) showed their navigational skills and also put in good runs for Calder Valley. Keswick took 1st and 2nd men’s prize with Carl Bell (45:04) and Mark Lamb (45:19) back within seconds of each other. They also took Men’s team senior prize. First woman back was Nicola Jackson from Ribble Valley Harriers (54th overall). Mercia Fell runners scooped Women’s Senior’s and Vet’s team prizes. This entry was posted in Uncategorized by Beastie. Bookmark the permalink.